We create new solutions for recycling available to everyone! Our field of action is ecology and environmental protection. We want every individual, company and institution to contribute to a greener world by recycling on an easy assessable way. For the past few years we have developed crushers for beverage cans and PET bottles, bicycle can crushers and smart recycling system made of smart crusher and mobile app. We are operating in seven countries where we have more than 30 satisfied clients. Some of them are the biggest beverage brands in the world. With shape of the can: Φ=60mm H=1250mm, they consist of a mechanism for crushing, tanker for collecting crushed cans or PET bottles, and body of the crusher used for placing advertisements. It is very easy to use. You only have to put the can into the crusher and pull the handle down. After pulling the handle down can is crushed and placed into the collector for the crushed cans. Advertising on these crushers have already been well received as an innovation which combine ecology and modern marketing. Our crushers are intended for companies, local governments, shopping and tourist centers, cafes, restaurants as well as all other producers, users and distributors of aluminum packaging. By using our crushers, you are reducing the volume of the cans by 80%, reducing the cost of transport and processing for recycling companies.By pre-sellecting, recycling becomes easier. Placing smart crushers enrich the plazas and offices which raises environmental awareness among all our citizens. Smart recycling system motivates people to recycle more! By optimising this process crushers save time and money for the recycling companies. It is made of smart can crusher and mobile app. Smart can crusher is an interactive crushing machine made of galvanized steel sheet combined with inox steel. It is equipped with LCD display, motion and weather sensors, aluminum sensors and filling level sensors. It communicates with the people, guides them through recycling process and rewards them with codes for every can that they recycle. 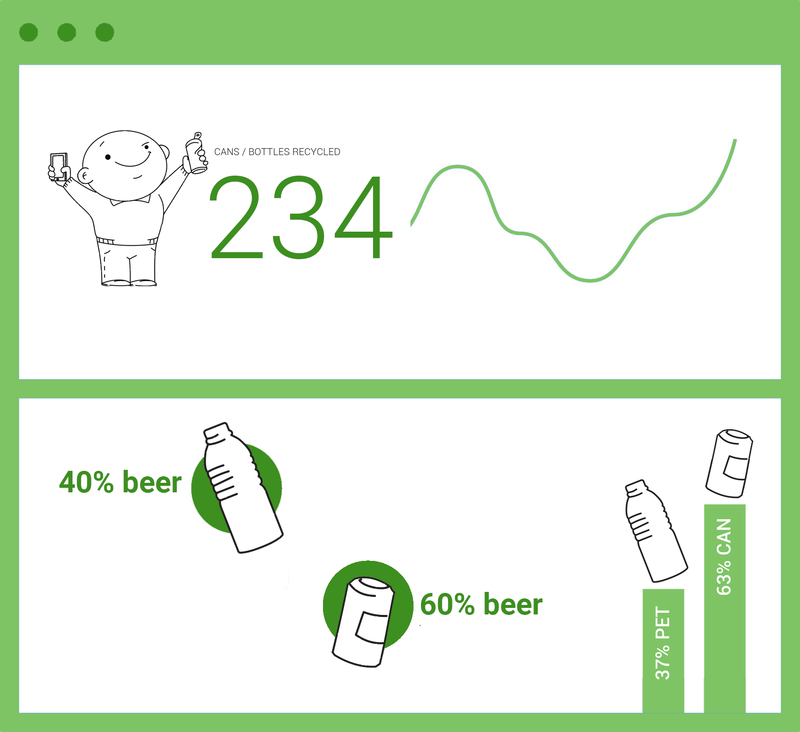 Collected data about the number of recycled cans along with the codes then sends to the mobile app. When full, crusher it notifies the authorities. Bicycle can crusher is very similar to a stationary fitness bicycles. The difference is in mechanism for cans, which is integrated into the bike. To run it, you just need to fill the box on the top of the mechanism with the cans and turn the pedals. Bike can crush around 20 cans per a minute! It’s very suitable for the education of the children and adults because it shows recycling process in attractive and interesting way. It can be used in schools, festivals and other events. Through mobile app you can find location of the nearest crusher, inform yourself about recycling process, track a number of recycled cans and use special features for festivals and concerts. In your account, you can exchange codes for points that can be used in different ways: rewards, discounts, etc. Give us a call or drop by anytime, we endeavour to answer all enquiries.